Over the last few months, there have been inquiries on the difference between herbal and homeopathic medicines. The medicines themselves, and the principles of herbal medicine and homeopathy are very different. I am a classical homeopath, I know about homeopathy and homeopathic remedies or medicines. I don’t know much about herbal medicine, and don’t use this form of medicine. What I am writing here, is the little bit I do know about herbal medicine. For you to know more about herbal medicine, I would suggest you talk to an acupuncturist, a Chinese herbalist, a herbalist and possibly a naturopathic doctor. Herbal medicines are made from plants. The different parts of the plant are used – the roots, the stem, the flowers, or the leaves. The medicines are used individually by themselves, or in a combination with other plants. I often hear an acupuncturist talking about “formulas” for particular health concerns. The medicines are taken in the form of a capsule or made into a tea or drink. The herbal medicine itself is the actual physical substance of the plant. Homeopathic medicines or remedies are made from plants too, and also made from minerals and elements, animals, and any substance we have on earth, even sunlight. There are over 4000 homeopathic remedies. All the elements in the periodic table have been made into homeopathic remedies. Animals, such as snakes, mammals, sea animals, birds, mollusks, insects and spiders have been made into homeopathic remedies. And many, many different plants have been made into homeopathic remedies. A small part of whatever is being made into a homeopathic remedy is needed to make the remedy. Animals are not killed to make homeopathic remedies. To make homeopathic remedies, the substance goes through a potentization process of dilution and succussion. Succussion is banging the vial that contains the liquid homeopathic remedy against a book. (At homeopathic pharmacies, there is a machine that does this. Some homeopathic pharmacies may still be made by hand.) Dr. Samuel Hahnemann, who developed homeopathy, used a bible to bang against. This potentization process creates the potency or strength of the homeopathic remedy. The potencies are labelled as X (ten parts), C (100 parts), or M (1000 parts). The 12C is the the first potency of which there is nothing left of the physical substance that the homeopathic remedy is made from. 12C is called Avogadro’s Number. At the 12C potency and higher, it is the energetic pattern of the substance. Homeopathy is an energetic form of medicine. Which potency a person uses depends on the person, on their vital force and on their state. They may use different potencies of the homeopathic remedy at different times. The homeopathic remedies are in a pill or pellet form, usually a sugar lactose pill. Remedies are also in a liquid form. And sometimes a remedy is sniffed, when opening the top of the vial. One homeopathic remedy is used at a time. This homeopathic remedy matches the state of the person. Another homeopathic remedy may be used later on. If I can be of help to you or a loved one, please contact me here on this blog or through my website www.homeopathytoheal.com. I would be happy to talk with you. Categories: Herbal Medicines, homeopathic medicines, homeopathic remedies, Uncategorized | Tags: C potency, differnce between herbal and homeopathic medicines, Dr. Samuel Hahnemann, Herbal Medicines, homeopathic medicines, homeopathic potencies, homeopathic remedies, M potency, potenization, what homeoapthic remedies are made from, X potency | Permalink. What Is A Homeopathic Medicine? Although, many people know the word homeopathy, since they hear it being used in the media, and also see it printed on products, they don’t really know what homeopathy is. For many, homeopathy has become synonymous for natural, and used that way in the media when describing healing modalities and products. When someone hears me talk about what I do, when I am talking about homeopathy, they may say to me, or think to themselves, what she is talking about is essential oils, herbal medicine, and/or supplements. But that is not what homeopathy is. Because homeopathy is often confused with other healing modalities. I wanted to tell you what a homeopathic medicine is. There are over 4000 homeopathic medicines. They are made from plants, minerals, animals, and other natural sources. Think how many plants there are in the world. Many of these plants have been made into homeopathic medicines. Think of the periodic table. All of these elements have been made into a homeopathic medicine. And think of animals – mammals, snakes, spiders, insects, mollusks, sea animals, and birds. Many of these have been made into homeopathic medicines. Only a small part of the substance that the homeopathic medicine is being made from is used to make the homeopathic medicine. And with animals, the animal is not killed. A small part of the milk, wing, blood, or venom is used to make the homeopathic medicine. 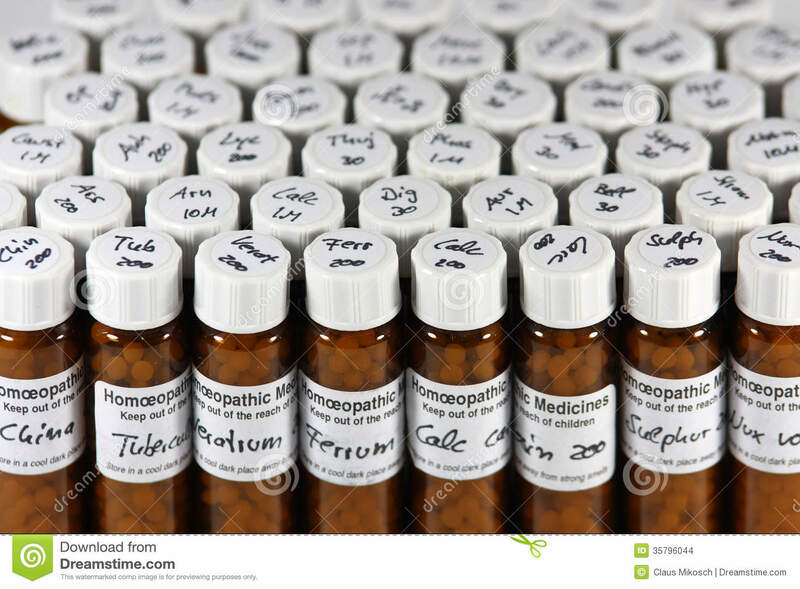 The homeopathic medicines that I use in my practice are purchased from a homeopathic pharmacy, such as Hahnemann in Northern California, and Helios in England. These pharmacies make the homeopathic medicines on their premises, using the method that Dr. Samuel Hahnemann developed. There are other pharmacies in Europe, India, the US, and other parts of the world. Many of you have used the homeopathic medicine Arnica montana for bruising and shock after an injury, a trauma, dental work, or a fall. And possibly you have used other homeopathic medicines. Some of you have seen a homeopath for treatment. You have found homeopathy to be healing and helpful. The healing with homeopathic care is deep. Homeopathy is helpful for many of the health concerns people experience today. I invite you to see how homeopathy can be a deep healing for you, and for your loved ones. I would be happy to talk with you. Either contact me here through this blog, or through my website www.homeopathytoheal.com. I have a complimentary Get Acquainted Call. Categories: classical homeopathy, Hahnemann Pharmacy, Helios Pharmacy, homeopath, homeopathic medicines, homeopathic pharmacy, homeopathic remedy, Samuel Hahnemann | Tags: Arnica montana, Hahnemann Pharmacy, healing, Helios Homeopathy Pharmacy, homeopath, homeopathic medicines, homeopathic remedies, homeopathy, natural, Samuel Hahnemann | Permalink.